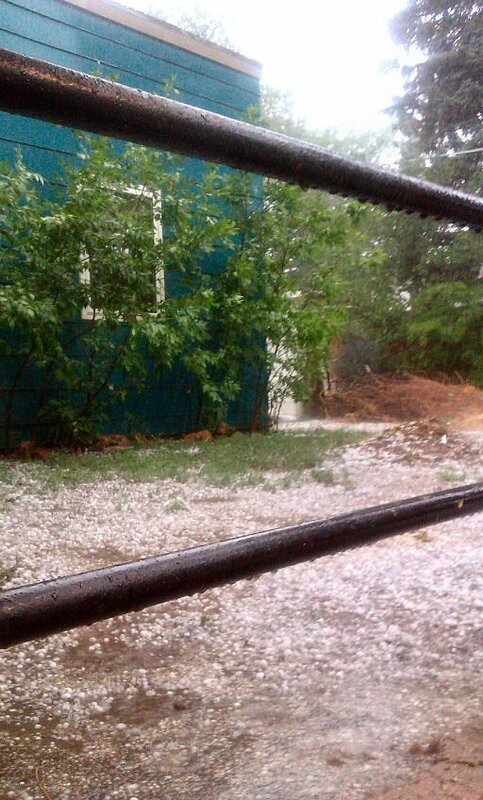 After all of our fires.. was nice to get some rain, even if it ended up being a hail storm. My roof took minimal damage… just a few soft spots in the shingles where the pellets of frozen rain clobbered it… Luckily my roof was just replaced about 14 months ago. 🙂 Anyway, sharing a few pics below. I took these before the storm got bad. A neighbor had a golf ball fall into his backyard during our storm. You can see the Raindrops hitting the railing. 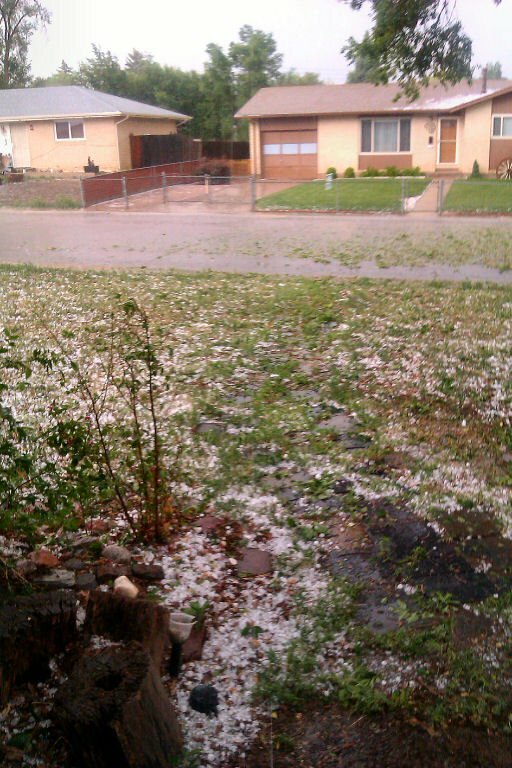 Rain and hail in the front yard.. my poor tree got raped by the wind and heavy rain ripping at it’s leaves. You can see them floating away down the road. Previous ArticleMarianas Trench Lyrics – Heartified!! 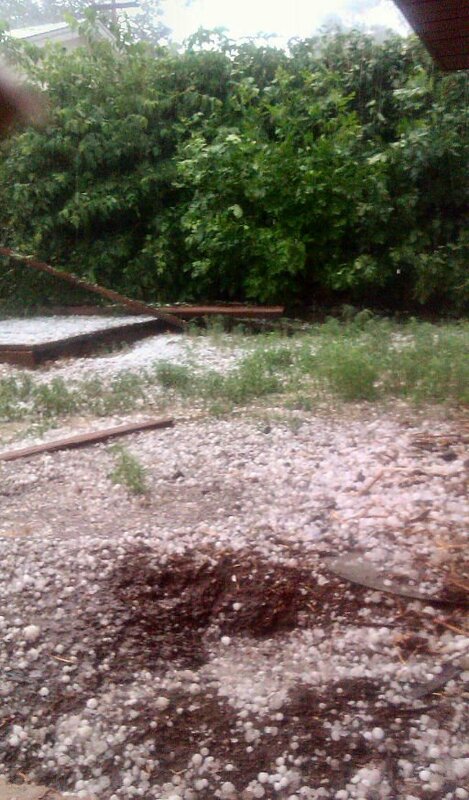 That is alot of hail! I’m glad yor roof didn’t take a harder beating. Poor tree!